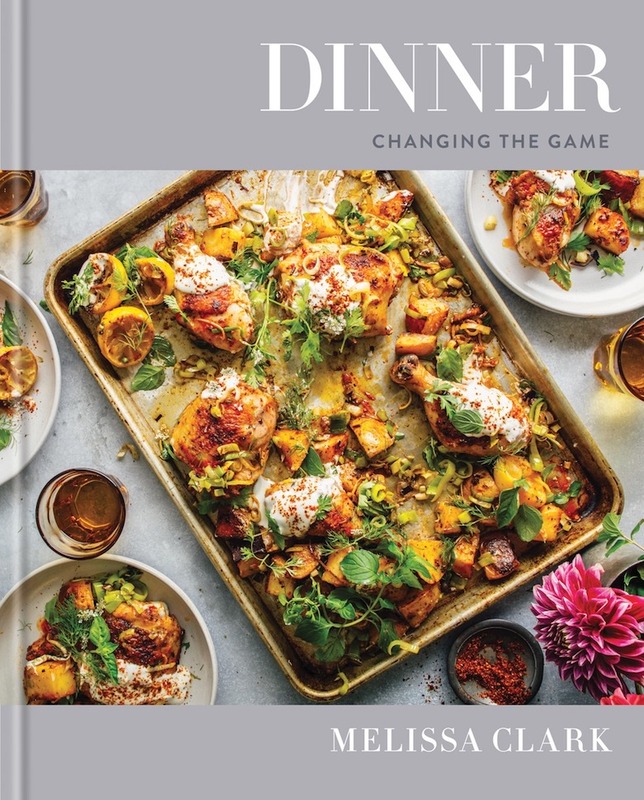 In the introduction to her latest cookbook Dinner: Changing the Game, New York Times columnist Melissa Clark invites readers to dance. And the kind of kitchen choreography she envisions creates not only culinary, but also communal, delight. Clark’s own sense of delight in food, family and the process of discovery is infectious. Even with 38 cookbooks to her name, she continues to infuse her work with freshness and an ever-buoyant sense of adventure. By turns classic and whimsical, the dishes in Dinner—which range from stovetop mac and cheese (below) to seitan enchiladas—help readers try what they don’t know. Edible Manhattan: What inspired you to focus your book on dinner? Melissa Clark: I really feel like what I wanted to do was just to help people just up their dinner game. Just to keep it fresh, make it a little more interesting. Dinner time is my happy time. I love cooking dinner. And if I can just instill that, get a little of that across to people, make it less of a chore and more of a delight, then I’ve done my job. EM: What’s dinner like at your house? MC: I try to gather my loved ones. I try to get my daughter, I get my husband, get all of us together when I’m making dinner. We have a glass of wine. Often my husband will read to me or we’ll all be chatting. It’s just really nice, non-hectic time. EM: How has your personal approach to making dinner changed over the years? MC: What really changed was having a family. Before, I was just as happy to eat a bowl of cereal, or a bowl of oatmeal. I would develop recipes all day…and then, by the end of the day, I’m like, ‘Yeah I’ll have a piece of toast with avocado, and I’m fine.’ But now…it’s much more about sitting down with the family. I want to eat in company with everyone else. I want to share a meal. EM: What’s your favorite thing to eat on days when you’re too lazy to make dinner? MC: Toast. I’m so happy with the whole toast craze, cause I was an early adopter. I’ll put anything on toast. Toast with butter and anchovies. Toast with butter and Stilton. Toast with kimchi and scrambled egg. I just love things on toast. EM: Which NYC-based chefs have influenced you the most? MC: Claudia Fleming. She was pastry chef at Gramercy Tavern when I worked with her. She’s one of the most brilliant pastry chefs I’ve ever worked with. She really was so personal in her flavor combinations. Everything was evocative for her. She would do a little chocolate malted with a chocolate tart, and that was childhood. Really being able to physically manifest the flavors of your childhood [is] genius, especially when it tastes so good. EM: What’s your favorite neighborhood dinner spot? MC: Franny’s. I wrote the cookbook with those guys. I love it. We go there a lot. And then there’s a place called Rose’s. It’s great. James is an adorable restaurant [down my block]. It has a fantastic lamb burger. And then this new restaurant just opened called Faun, and I’m crazy about it. The flavors are simple, really small menu, but everything on it is delicious. And Ample Hills. It’s a block away from me, and it’s bad in the summer. It’s bad, bad, bad, bad. If your go-to mac and cheese comes from a box, this recipe just might change your life. Not only is it as quick to make as the boxed stuff, it’s also about a thousand times tastier, and adults like it as much as kids do. I started making this for my daughter, Dahlia, as soon as she turned one, using whole-wheat pasta. Now, as much as she’d like me to buy the mac and cheese with the bunny on the box out of allegiance to small and furry creatures, she greatly prefers my version. It’s a small victory over processed foods, but I’ll take it. 1. Bring a large pot of heavily salted water to a boil. Add the macaroni and cook until it is al dente, about 1 minute less than the package directions. Drain. 2. Return the empty pot to medium-high heat. Add the cream, and cook until it is thick, bubbling, and reduced by half, about 2 minutes. Stir in the cheese, whisking until it has melted. Then stir in the pasta and cook until well combined. Season to taste with nutmeg and pepper, add more salt if needed, and serve. Reprinted from Dinner. Copyright © 2017 by Melissa Clark. Photographs copyright © 2017 by Eric Wolfinger. Published by Clarkson Potter/Publishers, an imprint of Penguin Random House, LLC.